While Ren desperately tries to find the owner to see if she can negotiate a sale, she begins to delve deeper into the history and legends that surround the old house and the town. But for a woman who has always been focused on her work, she's remarkably distracted by Finn, the attractive manager of the local hotel. 5 Words: Community, friendship, attraction, history, belief. What a perfect summer read! I have to admit, I wasn't feeling it when I started. It was miserable and raining outside, it felt like summer has disappeared, and I wasn't hooked from the start. But five chapters in that all changed. The weather outside was still awful, but it was summer in my head and I couldn't put the book down. 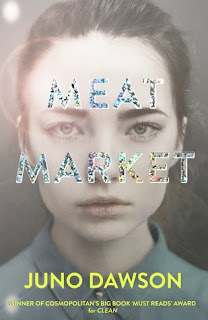 I loved the setting, although I did roll my eyes a wee bit at some of the stereotypes. I didn't really like the main character so much, I thought that Ren was rather bull-headed and unsympathetic. When she talked so much about her own heritage and wasn't prepared to respect someone else's, she rubbed me up the wrong way. But I loved Kiki. She made for some truly hilarious moments and reminded me of my sister. There are various sub plots in this story, and my favourite of these was the one that revolved around the mystery of the Welcome House. 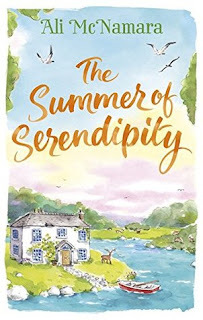 The Summer of Serendipity is fun and at times fanciful, perfect for a summer escape.